Whoa! I cannot believe it is Saturday already! I had to drop off my car at Honda this morning for a recall issue. 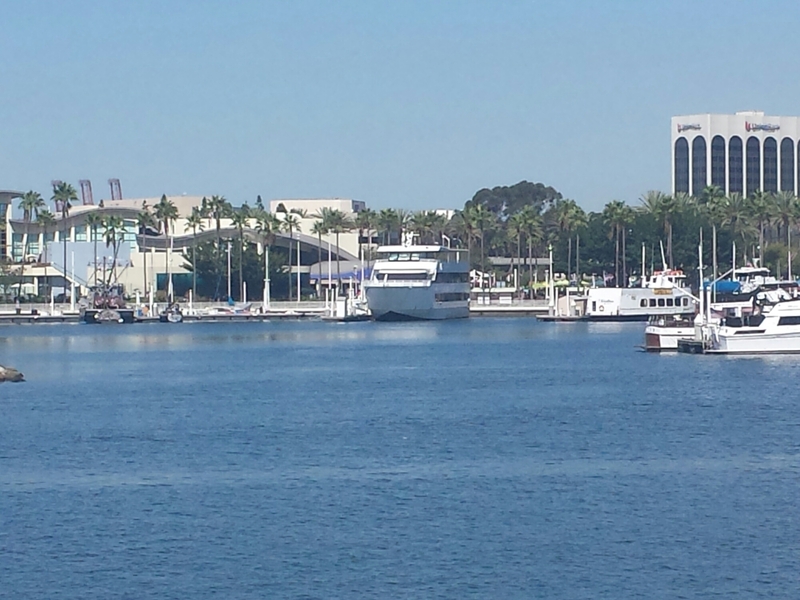 So we met up with Grandmama and went to lunch, the second picture was our view–I had an ahi tuna melt with tapenade that was amazing. The first photo shows a pirate we met on our way back to the car. We had stepped into a Pirate Festival, completely unaware! 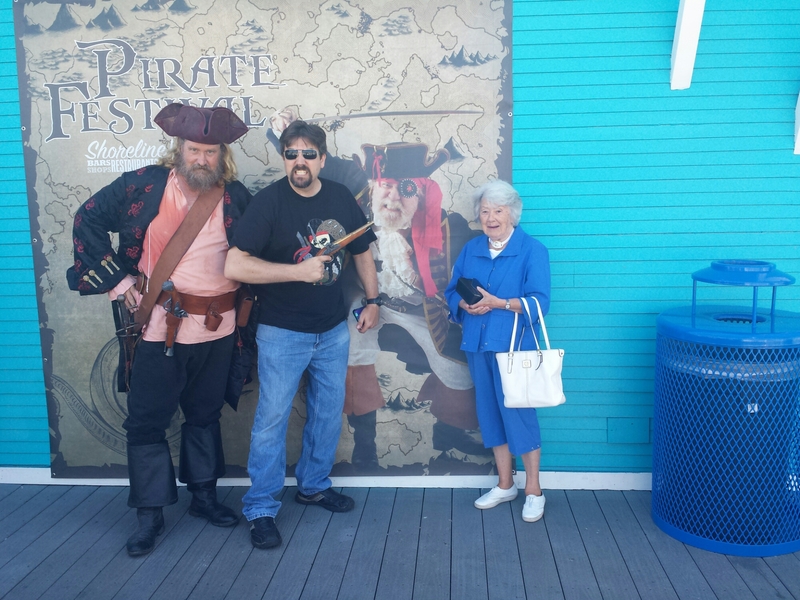 I was posing my husband and my Grandmama when the pirate showed up! 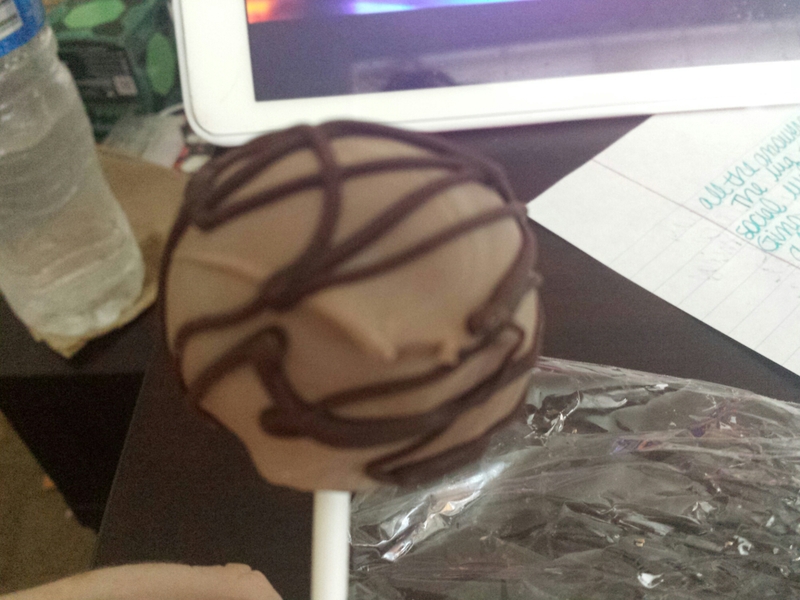 They are from Drunken Cake Pops. That is alcohol mixed with cake pop. A okay in my book. And they were great. Then it was off to Ports of Call, where we walked around and went to a candy store where a funny lady (with a dirty mind) was talking to us about all the stuff she had in the store with dirty names. I got my favorite, recently rediscovered, hard candy. 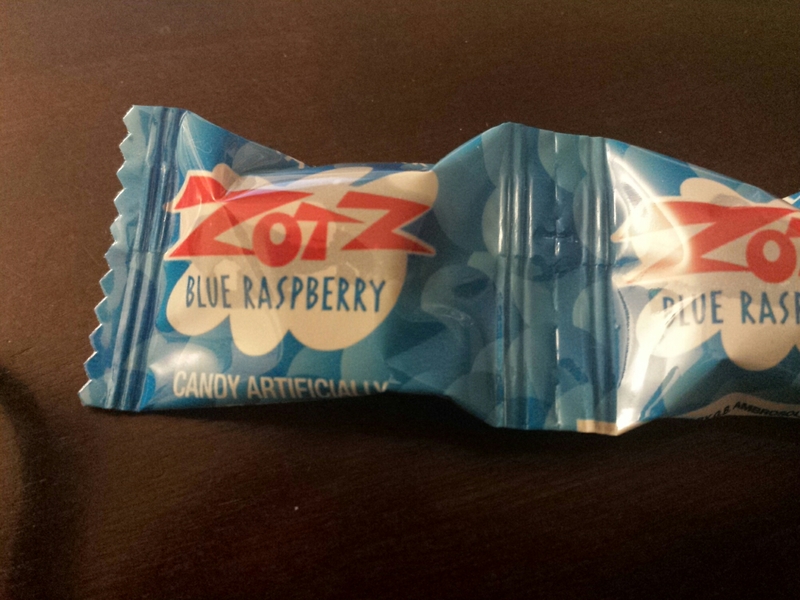 Zots are great. I adore the blue ones. Once they have been in your mouth and melted, they start to fizz sour powder. Which, to me, is heaven. So, when we were done, we went back to the dealership. And waited. Then, we were told there is another recall that they want to fix on my car after they get the part. Then we grabbed food and came back to the house, where I worked on Bloggelina goals. I finished my 101st book today. And I am done with 5 reviews.